Les Sommets du Digital is organising the first ski-lift networking event for the digital world! A unique, individual way of doing business. For one evening, La Clusaz’s ski-lifts will be given over to Les Sommets du Digital. Imagine 320 people doing business 30 metres up in the air, in moving ski-lifts! With this type of networking, you can meet all the event’s participants and speakers and be sure you won’t miss any opportunity to make the contact that will boost your business. On the first evening, this unique parenthesis will bring you face-to-face with tomorrow’s decision-makers, the biggest digital experts, and enable you to gain the best ROI. Like your own private room, decorated with mountain furniture and a view over the Aravis chain, the ski-lifts are the ultimate environment to create a mindset that is open to new contacts. Your future partners, clients and service providers are waiting for you at Les Sommets du Digital! Join them by registering now. Les Sommets du Digital is the winter event focusing on the digital transformation! Over three days, a succession of high-level presentations alternate with networking opportunities at events and business workshops. 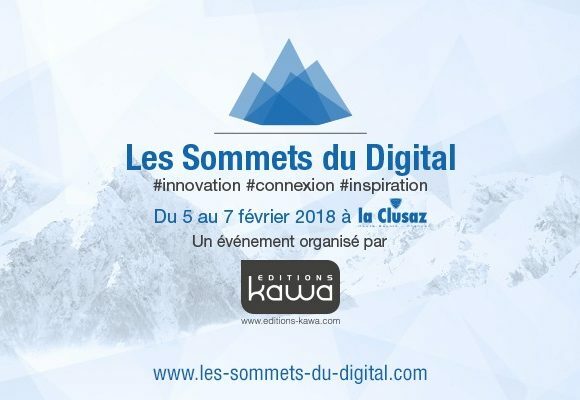 Les Sommets du Digital takes place on 5, 6 and 7 February 2018 in La Clusaz.